If you have been reading my blog for a while, you may remember that I used to join in with the monthly Secret Recipe Club. A large group of bloggers used to be paired up with another food blogger and make & share one of their recipes. I completely loved being part of this group as it exposed me to all types of food, new blogs and different cuisines. Sadly the SRC is no more but we have come together as a special anniversary episode for one last time. I have been paired up with Sarah from Things for Dinner (Otherwise known as Oreos and Cool Whip). Sarah hails from Canada and her blog is jam packed full of different recipes. I honestly spent ages mooching through before I finally decided on which recipe to make. I eventually decided on Coffee Cake Muffins. The name is quite deceiving though as not a bit of coffee appears in these muffins! They are most definitely Fruity Muffins but the best bit by far is the Streusel Topping. Sarah describes how she amended the recipe to make Fruity Muffins by using dried fruit. Being me, I changed it yet again and used frozen fruit – in particular Frozen Pitted Cherries. I know it is always a gamble, using frozen fruit as it can explode on cooking and go everywhere. Happily, these muffins were a great success. I could have probably got away with using even more fruit and may try raspberries aswell next time. 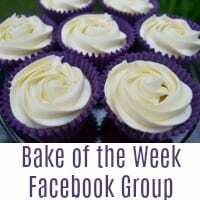 I’ve really enjoyed being back with the Secret Recipe Club – Still hoping that these can become a more regular event. 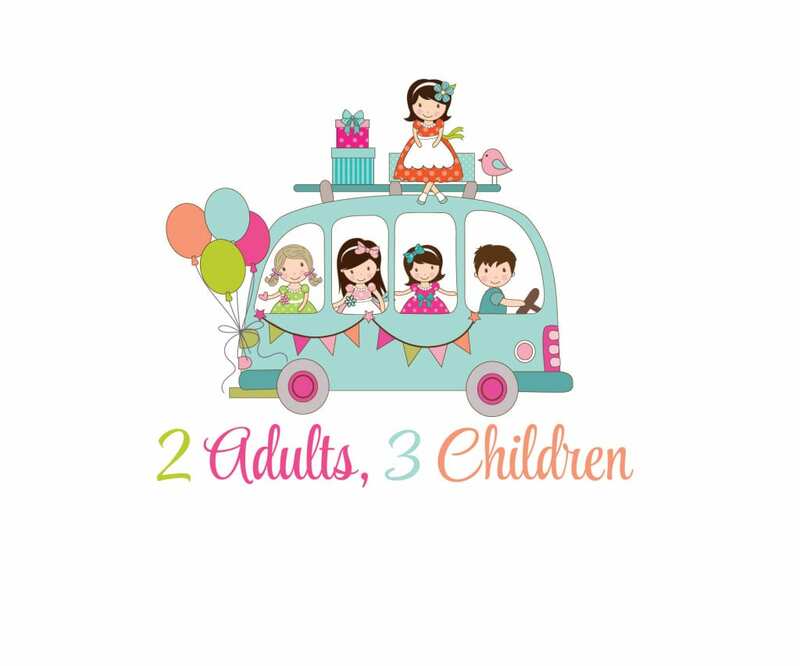 To find out what the other bloggers got up to for the reunion visit the widget below. I’m pretty obsessed with making muffins so I love this pick for SRC! I am a big fan of streusel, too! Adding fruit to these muffins makes it a complete grab and go breakfast option. Any muffin can benefit from a streusel topping! Yum! I’m glad you enjoyed! I haven’t made these in a while, and now I want to. It’s been fun looking at all the SRC posts again. Ohh now these sound delicious! What an interesting idea for a muffin, I have to admit I do love a good muffin with a cup of tea. 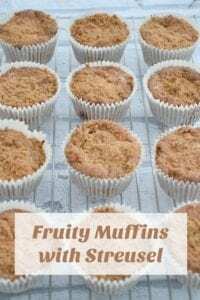 Yes this is something I have been trying to find a recipe such as this as love fruity muffins. Oh my goodness the fruit in the middle looks delicious! And everyone loves streusel! Great choice! 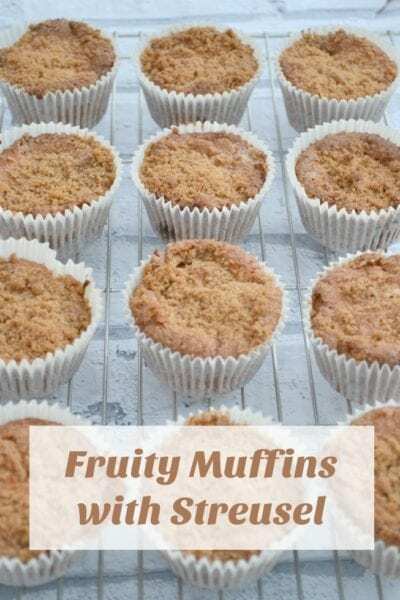 It would be awesome to take a bite into this muffin and be surprised with all the fruity goodness! I’d love to try this recipe and use different fruits. I just love the idea and i think it’s really good! Oh wow they loo so good! They look lovely and moist too, I am so going to try them! Such an awesome surprise in the middle! It’s definitely something that my kids will love if I make this for them. Thank you so much for the lovely recipe! This recipe looks really delicious, I am sure my family would love this. Plan to make it over the weekend. I love the topping on the muffins and the cherries! My mouth is watering…. Ooh now as someone who does have a sweet tooth, I think that a fruity muffin would definitely be up my street. It looks delicious! Oh my goodness, these look SO good and are something I know I would love….the topping, the filling, everything! These look ever so tasty, might have to make a batch myself! Muffins are always a hit in my family! 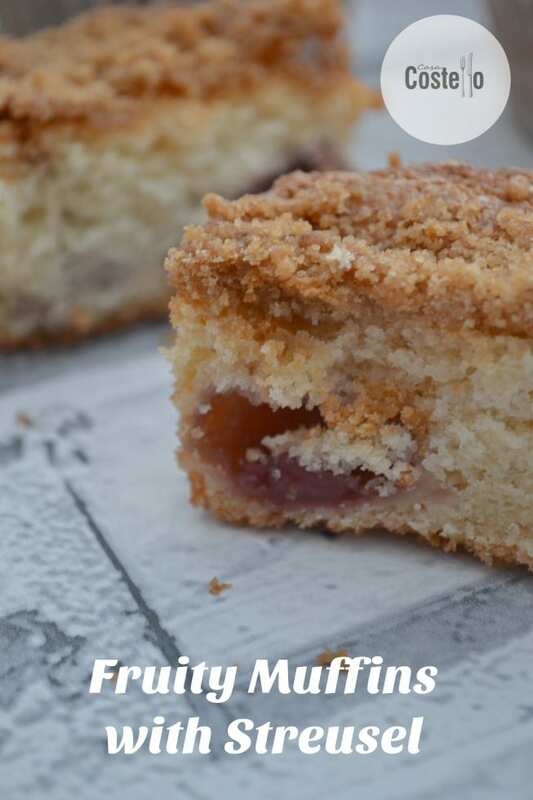 Such a great texture with that streusel topping! I love your use of frozen fruit. There can never be too much streusel, according to me! 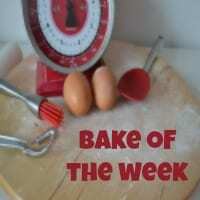 Well done on choosing a winning recipe! So sorry it took me a week to get here…I really enjoyed the SRC reunion, and I miss everyone! Oh gosh, these look DELICIOUS! Definitely going to give them a try sometime soon! THOSE MUFFINS LOOK PERFECT!! My youngest is obsessed with muffins and I’ve been meaning to make some.